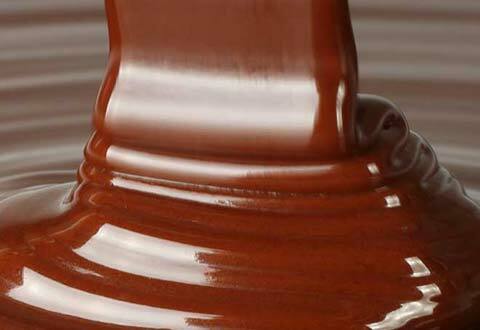 you will be savouring a delicious finger-licking belgium chocolate fondue! 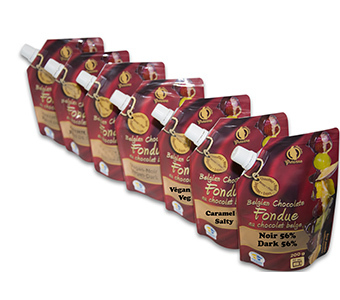 Our fondues are simply delicious and are sold in safe and convenient containers. Uncap and reheat in the microwave for less than 2 minutes. Just reseal the lid of the container and save any extra for later. Zero waste! 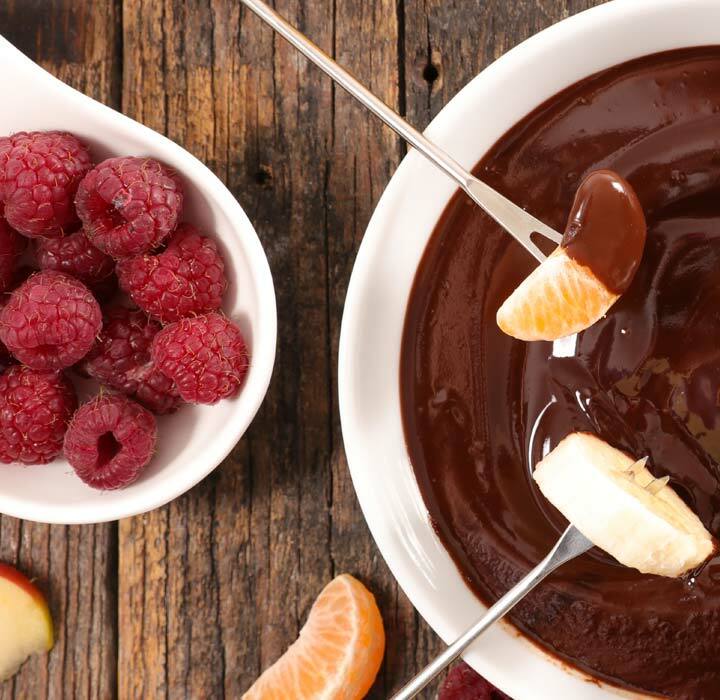 No need to heat and boil your fondue for several long minutes anymore. No more hazardous manoeuvers to open the container. No more cuts and burns on your fingers.